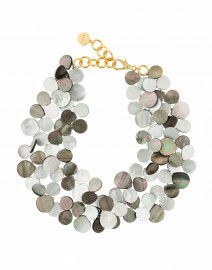 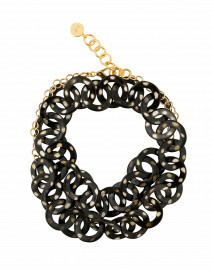 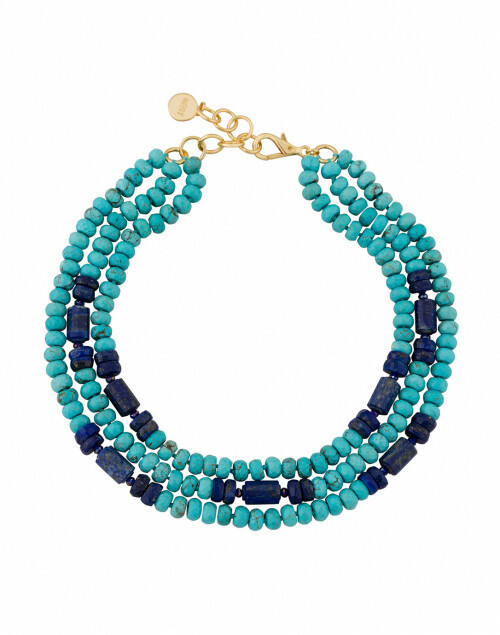 Nest's triple strand necklace will become a piece that you will surely treasure in the years to come. 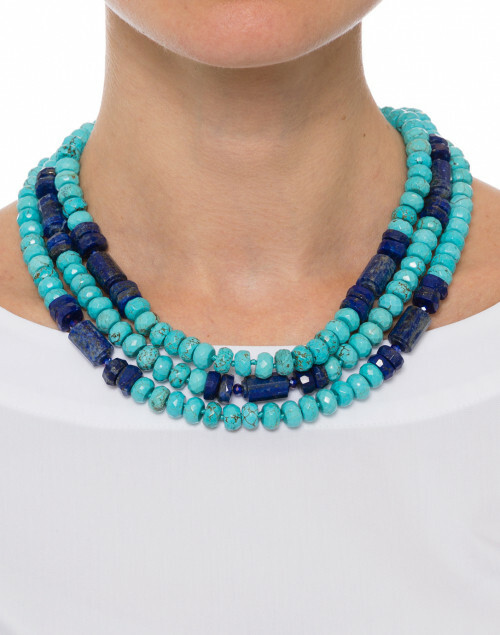 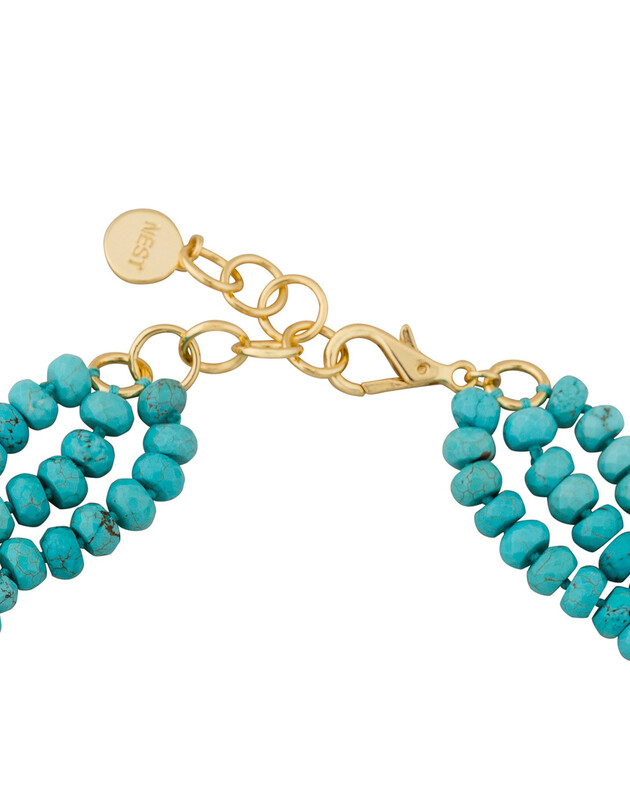 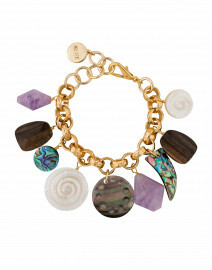 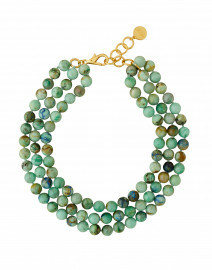 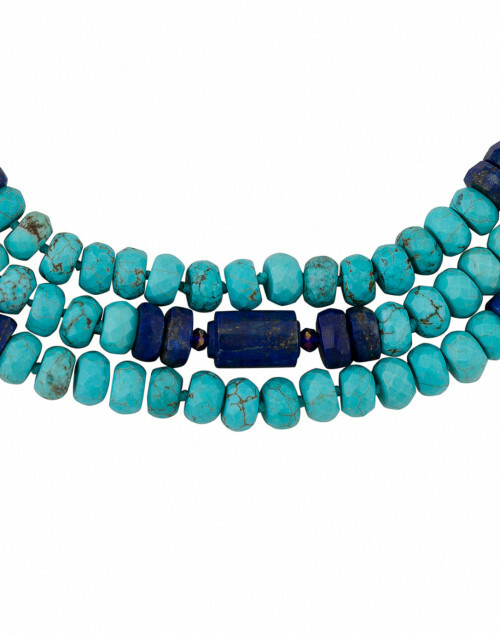 Made up of turquoise and lapis beads, this piece will add a elegance to any outfit. 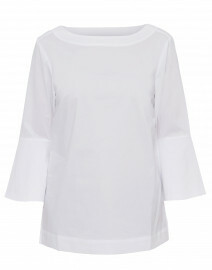 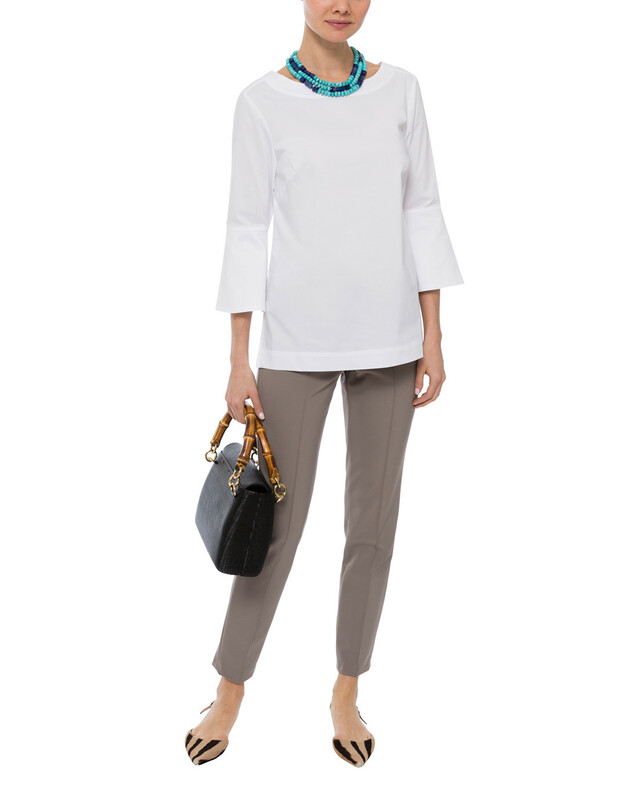 Style yours over a white blouse, slim trousers, and flats for the ideal look to take you from season to season.